Welcome! Explore history by the acre! From 1800s machinery to a re-created rural village, experience Stonefield—the kind of agricultural community that cultivated Wisconsin’s growth. Explore Wisconsin’s largest collection of farm tools, models, and machinery. Examine how farm life changed at the turn of the 20th Century.  Discover the fascinating story of Wisconsin’s first governor, his family, and his farm. Stroll down boardwalks and duck into 30 shops and factories.